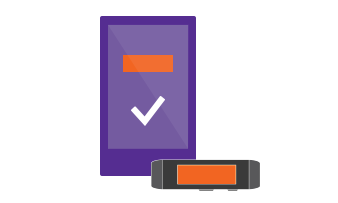 The Microsoft Band SDK Preview gives developers access to the sensors available on the band, as well as the ability to create and send notifications to tiles. Enhance and extend the experience of your applications to your customers’ wrists. Extend the experience of your application to your users’ wrists via a new dimension of interaction. Create an app that can send UI content to the band, keeping users engaged when they’re in motion. Your app can also receive data directly from the band sensors, giving your users more reasons to interact with it. 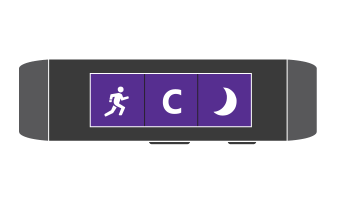 Create a personalized, data-rich, custom experience and enhanced scenarios that will engage users in ways only possible with Microsoft Band. Use a range of sensors including heart rate, UV, accelerometer, gyroscope, and skin temperature, as well as fitness data, to design cutting-edge user experiences. 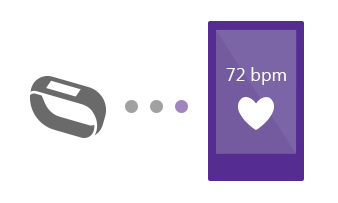 Keep users engaged and extend your app experience to Microsoft Band. Create tiles for the band that send glanceable notifications from your app to your users. Monetize your app by offering users ways to customize the band. Change the color theme, or bring the Me Tile to life by changing the wallpaper.